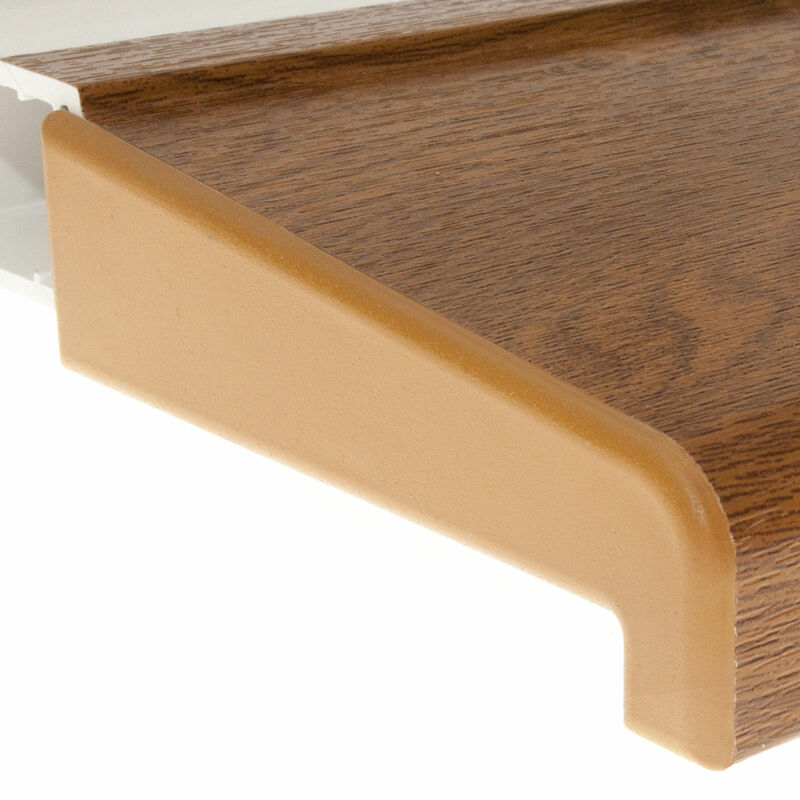 Product information "150mm Sill End Caps (Pair)"
Neat, protective cover to sill ends! 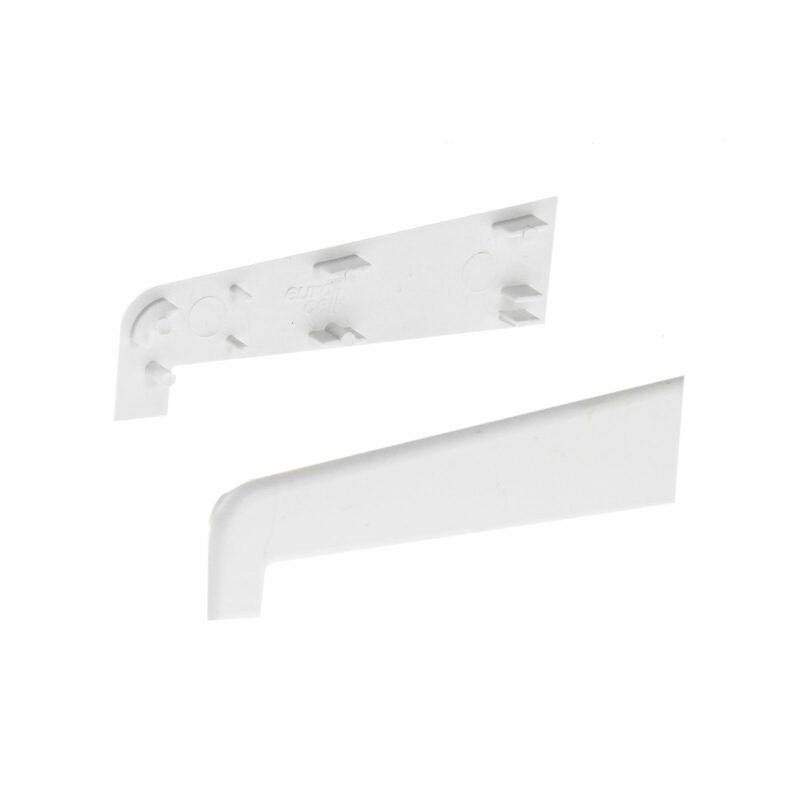 Pair of durable uPVC End Caps for 150mm window/door sill profile. Available in 5 popular colours to match existing window sill - White, Grey, Black, Dark Brown (Rosewood) and Caramel (Irish and Golden Oak). Sill end caps take considerable punishment, from the elements and from people. If they break off, they expose the open sill ends, which then traps leaves and dirt and provides a haven for insects. 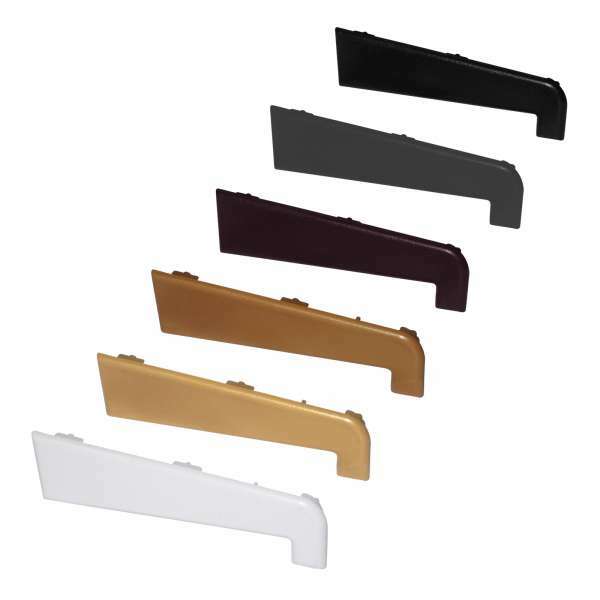 These end caps stop that and provide an attractive and professional finish. These cill end caps are sold as a pair, so you will receive a cap for both the left and right side. Guarantee 20 Year guarantee against discolouration, warping and cracking, providing they are fitted to manufacturers recommendations. Before you begin, prepare area by removing any silicone and debris from sill profile. Smooth and square edges with fine grade sand paper. Clean sill with solvent cleaner and clean dry cloth. If sills have joggles that wrap round the brickwork, it might be necessary to trim end cap. To do so, put back edge of end cap against wall, in line with sill profile, and then mark on the inside of the end cap where the nose of the sill comes to. Using that measurement transfer it to the front of the end cap and trim to the end cap to fit or measure from the front of sill to the wall and trim the end cap to fit. Apply medium viscosity superglue to the end cap. Apply super glue accelerator to the sill. Quickly put the 2 parts together, concentrating on getting the front flush with the front of the sill then hold in place for 5-10 seconds. Silicone back edge to seal where joint meets wall. 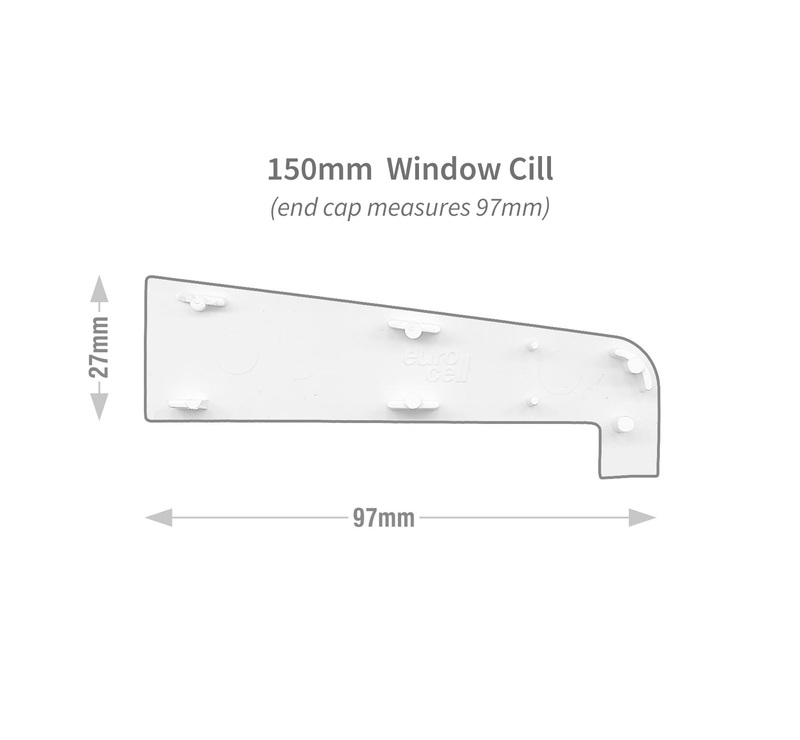 Related links to "150mm Sill End Caps (Pair)"
Customer review for "150mm Sill End Caps (Pair)"